"Pepys's ebullience matched the heady early years of the restored monarchy under King Charles II. But Morrice describes the dark days of political crisis, show trials, religious persecution, and the fear of 'popery and arbitrary power' that gripped the nation in the 1680s, and culminated in the second overthrow of Stuart monarchy,"
'If Samuel Pepys's is the best-known diary in English history, then Roger Morrice's is perhaps the least known”. Given the wealth of material and the insight this book provides into the political life of the second half of the 17th century, it is very strange that the work of Roger Morrice is not that well known or that his fame is not that of Samuel Pepys. This book should go some way to rectify this anomaly. It has has been adapted, with a new substantial introduction and updated bibliography, from the first volume of the Entring Book of Roger Morrice. If you look at the task involved, then it is not that difficult to understand why this great diary laid dormant and virtually untouched. While some historians have known of Morrice’s work for years it was unknown to the wider public and getting it to a wider audience took seven years, the original target was five. It has made the collaboration of six leading international academics to bring these stories to life. The research team, led by Mark Goldie, of Cambridge University, has worked through 1,500 pages, which amounts to nearly one million words of 17th-century English. It includes 40,000 words written in an old shorthand, all of which had to be decoded by a specialist. There have been two previous attempts to publish a full transcript. But a project of this size could have only come about with the development of computers. As John Morrill said “even with these advantages its completion required the tireless work of six major scholars (or seven if we include Frances Henderson, who teased out the shorthand passage and a large number of “postdoctoral galley slaves transcribing and editing”. Morrice clearly understood he was writing in dangerous times and used shorthand to disguise what he was writing. He also knew that if caught he would be accused of sedition. He would disguise some of the names of people he was writing on. To answer this question as Mark Goldie found out is a difficult one. A swift look at Mark Goldie’s biography of Morrice for the Oxford Dictionary of National Biography(ODNB)will not tell you very much. Given the huge amount, he wrote of other people, this is a contradiction, to say the least. We do not have an accurate birth date 1628/9 is as close as we can get, he died in 1702. From a class standpoint, he was probably from the yeomanry. At birth, he was a registered as ‘plebeian’. A young man when the English revolution took place. We know little about his attitude towards it. He studied at Magdalen Hall, Oxford in the early 1650s. At St Catharine's College, Cambridge, in 1654 he graduated BA in 1656 and proceeded to get an MA in 1659. Later in life, he became closely connected with a large number of Puritan elites who had taken part in the English Civil War. He friendly with the likes of Baron Holles of Ifield and the eminent lawyer Sir John Maynard. Both were parliamentarian veterans of Puritan persuasion. Morrice started writing at a dangerous time, and his personal experiences certainly shaped his writing. It was really in London where Morrice became what today would be an investigative journalist. He would frequent coffee houses which unlike today were hotbeds of political gossip. His notes would have been done in his secret handwriting to avoid being caught. According to Goldie "Like all journalists, Morrice needed good sources, and he was lucky to have a very leaky secretary on the privy council called Richard Collings,". Morrice became a commentator and collector of manuscripts. As a by-product of his journalism, he became well connected in Presbyterian circles. It was rumoured that he was supplying newsletters to a group of Presbyterian Whig politicians. So trusted politically he was given responsibility for the distribution of the will of Richard Baxter. He also was responsible, for distributing Baxter's library and publishing future works. A young John Toland was the eager recipient of some of Baxter’s library. 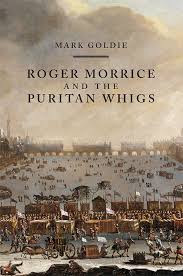 Morrice was clearly very conscious of what he was doing in aiding the Puritan cause so much so that he wanted to write a history of Puritanism and even and even drafted an outline in the 1690s. Politically Morrice was a conservative Puritan and was not afraid to publish his thoughts in the in the ‘Ent'ring book’ he hated what he called the ‘hierarchists’ and ‘fanatics’, While applauding the ‘sober churchmen’ and ‘old Puritans’. He was also scared of the London Mobs. In a diary entry dated December 1688 he states "The Mob was up in most parts of the Town all Tuesday night and committed many tumultuous insolencies, and made an invasion upon Liberty and Property to the great grief of all Wise men, and to the great Scandall of the City. They gathered together in the evening about most of the known Masshouses in Town (the Ambassadors Chappells that were open and publick not escaping) and particularly about the Masshouse in Lyncolns Inn Fields. They tooke out of those Mass-Chappells all the furniture, Utensills, and combustable materialls and brought them into the Streete and there burnt them. They have since pulled down, burnt and carryed away all the Timber in most of them and the Girders and Joysts. They were pulling up the ground Joysts on Tuesday night about midnight and multitudes were carrying away Bricks in baskets so that they have left scarce any thing but the bare Walls. They have seized upon and exposed to Rapine all the rich furniture and Plate in the Spanish Ambassadors house, and the Treasures of severall Papists that were deposited with him." It is evident from Morrice’s diary that Puritanism was not dead and buried during the latter half of the 17th century.Puritans according to one writer “worked through parliament, the royal court, and the households of gentry, merchants, lawyers, and clergy. Setting out to galvanise civil society, they mobilised public opinion, organised electorates, and deployed the arts of journalism, influence, and persuasion”. Morrice's diary began 1677 and ended in 1691 During that time he wrote about the reigns the reigns of Charles II, James II, and William III and Mary II. Despite what some historians have written this England and to be more precise the English bourgeoisie was in a constant state of crisis. Much of what we know about this period has been dominated by the Whig interpretation of history which as deep roots in the consciousness of the British political class. As Ann Talbot states “The visitor to Chatsworth House in Derbyshire can still see in the grand entrance hall a fireplace inscribed with the legend “1688 The year of our liberty.” It refers to the “Glorious Revolution” when James II quit his throne and his kingdom overnight, and William of Orange was installed as king. This was the kind of palace revolution that the British ruling class increasingly preferred to look back on rather than the revolution in the 1640s when they had executed the king, conveniently overlooking the fact that James would not have run if he had not remembered the fate of his father—Charles I.
Morrice lived in this period political and social reaction. On the continent, absolutist monarchies were securing their powerful grip on trade.The English ruling class did not want to return to the instability of the English revolution and sought a period of political and social stability to achieve economic growth to compete with its rival mercantile powers. From 1660 to 1688 they tried to reach a political compromise that would at once secure them the gains of the revolution while establishing a stable form of government. Morrice documented any threat to this stability In the diary, he wrote of the persecution of those he were a danger to the ruling elite, their laws and their established Church, such as the Quakers and Puritans. "Eleven young men and women were seized at a chapel and convicted, fined and jailed, where they are put to hard labour," he wrote. "The government has violated the fundamental laws of the kingdom and advanced arbitrary power and infringed liberty and property… and judges convict offenders… without any trial by juries," he wrote on January 23, 1679. He described suspects being tortured for plotting against the king, on October 16, 1684, one victim was to "keep him from sleeping, which they did without intermission for nine or 10 days. When he was ready to die … the balls of his eyes swollen as big as tennis balls … they tormented him by the thumbs". "It is a huge source of material that will play a very significant role in helping historians and students understand the period," "It shows England in a very different mood to the Pepys diary, which was celebrating getting rid of the Puritans." Goldie is correct, and he and his team have done a tremendous service to make the study of this period easier and more rewarding. Brian Manning was one of the few historians to use the work of Marxist writers to explain the origins and nature of the English Revolution. It is to his credit that he did so under severe conditions inside university history departments that were extremely unfavorable to any Marxist historiography. Being a member of the Socialist Workers Party (SWP), he would correctly use certain features of Marxism to elaborate the bourgeois nature of the English Revolution. What was not correct was his use of these Marxist writers to say that “people’s history” or” history from below” were products of Marxist historiography. They were in fact products of Stalinism, not Marxism or to be more precise they were, in fact, by-products of Stalin’s struggle against Trotskyism. As Ann Talbot succinctly puts it “the Communist Party sponsored a form of “People’s History, which is typified by A.L. Morton’s People’s History of England in which the class character of earlier rebels, revolutionaries and famous leaders was obscured by regarding them all as representatives of a national revolutionary tradition. This historical approach reflected the nationalism of the bureaucracy, their hostility to internationalism and their attempts to form an unprincipled alliance with the supposedly democratic capitalists against the fascist Axis countries. People’s history was an attempt to give some historical foundation to the policies of Popular Front—the subordination of the working class to supposedly progressive sections of the bourgeoisie. The limiting of political action to the defence of bourgeois democracy—which provided a democratic facade to the systematic murder of thousands of genuine revolutionaries, including Trotsky. It was the approach that Christopher Hill was trained in, along with E.P. Thompson, Rodney Hilton, and Eric Hobsbawm, who were part of the Marxist Historians Group and came under the influence of Maurice Dobb and Dona Torr”. It is unclear to what extent of the SWP’s input is in the book. Certainly, the title would fit in with the SWP’s word usage. The use of the term Far Left is a contentious one. No other historian including Hill would have used the term Far Left. Manning was a student under Hill in the early 1950s and apparently admired the great historian. In an obituary he wrote “The undoubted dominance of Christopher Hill in the history of the English Revolution may be attributed to his prolific record of books and articles, and his continuous engagement in debate with other historians; to the breadth of his learning, embracing the history of literature, the law, science, as well as religion and economics; to the fact that his work set the agenda and the standard to which all historians of the period had to address themselves, whether in support of or opposition to his methods and interpretations; but above all to the inspiration he drew from Marxism. The English Revolution took place in a culture dominated by religious ideas and religious language, and Christopher Hill recognized that he had to uncover the social context of religion to find the key to understanding the English Revolution, and as a Marxist to ascertain the interrelationships between the intellectual and social aspects of the period”. Jim Holstun said “Manning’s work puts English workers at the very center of the English Revolution as innovative political actors and theorists in their own right. His approach contrasts strongly with the usual somnambulistic turn to ruling class initiative and frequently inverts its causal sequence”. One tendency right or wrong stood out, and that was Manning ability to adopt political homes very quickly. One instance of this was his tenure on the board of the magazine Past and Present which was heavily dominated by the Communist Party and its historians. While adopting the SWP line in opposing “Soviet Communism,” he collaborated closely with the British Communists historians and made no criticism of the party. The SWP have always adopted and very economist approach to historical events. Despite covering their work Marxist, phrases, this underlying thread was always apparent in their relationship with Manning. Historically the SWP has held the position “Of fighting for the English revolution” which translated is not a historical materialist approach to the revolution but a conception of revolution as a pure spontaneous action. Their work with historians who were members of the party or were fellow travelers took on the form of the adoption of the history from below genre. Perhaps the clearest example of this type of relationship was with Neil Faulkner. He was a historian and member of the party until 2010. “Since 2010, I have formed many new and rewarding political friendships, and these have contributed, I believe, to a richer, more nuanced understanding of the Russian Revolution. Not least, the degeneration of the British Left over the last two or three decades- which is a generic process, not something restricted to the SWP-has given me a clearer understanding that the masses build revolutionary parties themselves in struggle; that is, they do not arise from voluntarism, from acts of will by self-appointed revolutionary ‘vanguards’; they do not arise from what has sometimes has been called ‘the primitive accumulation of cadre. Revolutionaries should organise, but they should never proclaim themselves to be the party”. That this kind of rubbish was tolerated inside a party that professed to Marxist was truly unbelievable. The SWP while playing lip service to the Marxist theory of history they would maintain an “enthusiasm for the English Revolution.” As Alex Calinicos would say “there was a plan in 1994, as far as I remember never executed, to take a minibus to the battlefield of Naseby to gloat over the destruction of Stuart power by the New Model Army 350 years earlier”. Not a serious approach to history never mind politics. In all my time writing history I have never come across someone who would contemplate taking sides with one section of the petty bourgeoisie’s destruction of the Monarchy. The Far more severe problem was Manning’s attitude towards Cromwell to quote Calinicos “I remember him saying that he had never cared for Oliver Cromwell who reminded him of Stalin. The fact that Calinicos says this in his obituary of Manning without any comment or challenge is astounding. Firstly, the comment which must be true because he put it quotation marks would not look out of place amongst the more conservative historians who have also compared Cromwell to Stalin. This is not indicative of a Marxist approach to Cromwell. The Marxist Leon Trotsky took a different approach. “The editor of the Daily Herald recently expressed his doubts as to whether Oliver Cromwell could be called a 'pioneer of the labour movement.' One of the newspapers. 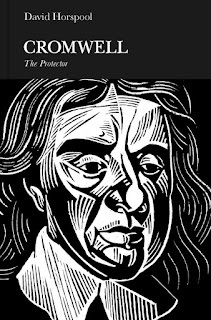 Collaborators supported the editor's doubts and referred to the severe repressions that Cromwell conducted against the Levellers, the sect of equalitarian of that time (communists). These reflections and questions are extremely typical of the historical thinking of the leaders of the Labour Party. That Oliver Cromwell was a pioneer of bourgeois and not socialist society there would appear to be no need to waste more than two words in proving. The great revolutionary bourgeois was against universal suffrage for he saw in it a danger to private property. It is relevant to note that the Webbs draw from this the conclusion of the 'incompatibility' of democracy and capitalism while closing their eyes to the fact that capitalism has learnt to live on the best possible terms with democracy and to have taken control of the instrument of universal suffrage as an instrument of the stock exchange. [It is curious that, two centuries later, in 1842 in fact, the historian Macaulay as an MP protested universal suffrage for the very same reasons as Cromwell. -- L. D.T.] Nevertheless, British workers can learn incomparably more from Cromwell than from MacDonald, Snowden, Webb, and other such compromising brethren. Cromwell was a great revolutionary of his time, who knew how to uphold the interests of the new, bourgeois social system against the old aristocratic one without holding back at anything. This must be learned from him, and the dead lion of the seventeenth century is in this sense immeasurably greater than many living dogs”. Much of Manning work concentrated more of the radical groups in the English Revolution such as the Levellers, Diggers, etc. In fact, Manning’s own obituary carried out by the SWP was called A True Leveller wrote by one of its leading members Alex Calinicos. The SWP were Manning’s primary publisher with 1649: Crisis of the Revolution (1992) and concluded with Revolution and Counter-Revolution in England, Scotland, and Ireland 1658-60 (2003) Being published by them and republishing The English People and the English Revolution. As Manning brings out in his first chapter, the Far Left denotes the various radical groups that sprang to life during the English Revolution. Much of the past historiography examining the Levellers, Diggers, etc. has been dominated by the school of historical research called ‘history from below.' Manning’s book is a good attempt to establish the class nature of what Manning calls the Far left. Manning’s work has centered on three major class formations. For Manning, the ‘middling sort’ were key to an understanding of the English Revolution. His book tends to concentrate on this group for which Manning had some characteristics of an early working class. He was a good enough historian to believe that “not every conflict between groups in society springs from class antagonisms, but when two groups stood in relation of exploiters and exploited it is a class relation: and when one group seeks to use another group, and the latter group resists, they become engaged in the class struggle”. The problem for a Marxist historian in writing on this period of history is that ‘classes, while they existed, were still in embryonic form. But this did not stop Manning from using Marxist theory to denote what was a class struggle. Manning's work on the Far Left of the English Revolution has been criticised for concentrating too heavily on the work of other historians. One blogger wrote “This book is a general survey rather than the result of detailed original research. The sources cited are mostly secondary works, along with some contemporary pamphlets. As far as I can tell the footnotes do not mention any manuscripts at all. You don’t have to be a document fetishist to see this as a limitation. The archives are full of unexplored opportunities. Concentrating only on what has been published in print closes an awful lot of possibilities. For example, early-modern court records are full of poor people saying things that they weren’t supposed to say, and the fact that they were punished afterward can’t erase the fact that they said it. The most glaring omission is when Manning mentions that plans for a Fifth Monarchist revolt were carefully recorded in a manuscript journal, but doesn’t cite the manuscript. Manning points out that differing forms of the class struggle were taking place in the 17th century. The second chapter explores the nature of what Manning call dual power. As Leon Trotsky points out “The conditions are now created for the single rule of the Presbyterian bourgeoisie. But before the royal power could be broken, the parliamentary army has converted itself into an independent political force. It has concentrated in its ranks the Independents, the pious and resolute petty bourgeoisie, the craftsmen and farmers. This army powerfully interferes in the social life, not merely as an armed force, but as a Praetorian Guard, and as the political representative of a new class opposing the wealthy and rich bourgeoisie. Correspondingly the army creates a new state organ rising above the military command: a council of soldiers’ and officers’ deputies (“agitators”). A new period of dual sovereignty has thus arrived: that of the Presbyterian Parliament and the Independents’ army. This leads to open conflicts. The bourgeoisie proves Powerless to oppose with its own army the “model army” of Cromwell – that is, the armed plebeians. The conflict ends with a purgation of the Presbyterian Parliament by the sword of the Independents. There remains but the rump of a parliament; the dictatorship of Cromwell is established. The lower ranks of the army, under the leadership of the Levellers the extreme left wing of the revolution – try to oppose to the rule of the upper military levels, the patricians of the army, their own veritable plebeian regime. But this new two-power system fails in developing: The Levellers, the lowest depths of the petty bourgeoisie, have not yet, nor can have their own historic path. Cromwell soon settles accounts with his enemies. A new political equilibrium, and still by no means a stable one, is established for years. It is correct to point out that the poor have received scant attention from historians. To do this, he examines the leadership groups such as the radical Levellers, Fifth Monarchists, and Quakers. Again, his usage of the great Marxist thinkers such as Marx, Engels, Trotsky, Lenin to explain complex political formations is to be commended. This chapter attempts to use previous Marxist Writings on the bourgeois revolution to try to answer the question of who were the poor and what class did they belong to. Manning explores the contradiction at the heart of many of the radical groups which despite speaking on behalf of the poor against the rich defended private property to safeguard the small producers' ownership of the means of production. He correctly points that that in the end, these radicals could not develop a consistent revolutionary consciousness and organisation. Which in the end led to their downfall? Chapter 3 is a curiosity in so much as it a lot different from the previous two. The examination of two revolts The Corporals Revolt 1649 and The Coopers Revolt,1657 read like a novel and tend to look out of place with the more general chapters one and two. The Far Left in the English Revolution is a book with a double edge sword. Firstly, attempts to give an analysis of the revolutionary groups of the 17th century but as I said early Manning had to fight tooth and nail to defend this view from a revisionist historian’s hostility to a Marxist historiography. Manning had a far clearer understanding of the political nature of revisionism than Hill did. But Jim Holstun warned that “Manning may be too optimistic about the decline of the historical revisionist project, and about the prospect for a revived practice of 'history from below,' at least in British history departments. It's true that revisionism has been subject to powerful critiques by, among others, a group of 'post-revisionist' historians who are eager to restore a consideration of ideology and political conflict to 17th-century history. But, of course, that's potentially quite a different thing from a study of class struggle and history from below. In Ivan Roots's obituary of Brian Manning in The Independent, he states that Manning’s work is not very attractive inside British history departments gave its Marxist nature this may be true. But to give Manning his due, he was consistent in his theoretical work and deserves a wider audience. Whether it is still too soon to assess his legacy is another matter. I am all for swimming against the historical tide and do so on many occasions. But then I am not a professional historian, and I do not have an editor that tells me when I should leave some things well alone. So why did no one tell David Horspool that arguing Oliver Cromwell was a monarch is not the cleverest thing to do. And swim alone he does. It is not as though we have hundreds of historians who favor this type of historiography. What was the nature of the discussion at Penguin? I would have paid money to hear it. Maybe If he had done it in the form of a counterfactual argument, then this is a different matter. It is a little strange that the book does not actually present an argument for Cromwell inclusion as a monarch. It is no secret that Cromwell took on some of the trappings of a king including 'His Highness,' took on some of the rituals of court and lived in palaces of Whitehall and Hampton Court. But Oliver Cromwell was not a king, and therefore it is no accident that some of the greatest historians of the subject refused to label him that. So why does a giant publishing firm ask a historian to argue the opposite? One answer would be the type of series that Penguin wants to have. The last ten years or so have seen an increase in studies that concentrate on Royalism. While there is nothing wrong with that, unfortunately, most of these studies have attempted to rehabilitate the monarchy (see my review of Charles I: An Abbreviated Life by Mark Kishlansky. David Horspool book is a well-written introduction to the life of Cromwell. I had expected at least a defense of why Cromwell was listed in a series on monarchy, but this does not happen. I am also a little disturbed that no historian so far has attacked this mild falsification of history. I may be old fashioned, but if this book appeared twenty years ago, there would have been a historian’s fight. So far, the only review of this book has been in the Guardian. Which unsurprisingly decides to take a somewhat cynical view. The reviewer tells us “the controversial inclusion of Oliver Cromwell in the Penguin Monarchs series will doubtless elicit a few tuts of disapproval from royalists. Well, it should elicit a few from left minded historians. This really is stretching things a bit, and it is not something a serious historian should or would stoop to. This brings me to my main critique of the book. In some ways, the book the book expresses a growing problem modern historiography of the English Revolution in that the issue of class is not actually discussed. As Horspool brings out Cromwell was a member of the gentry. If the reader is concentrating whether Cromwell was a king, then Cromwell’s connection with the revolution is entirely submerged. He continues, “Karl Kautsky pointed out that the role of ‘great men’ in history should be related to the group or class which they represented or symbolized. In the English Civil War Charles, I defended aristocracy and episcopacy, and his strength came from his party. Sherwood should have asked who made Cromwell ‘king in all but name’. He should have considered the power-hungry politicians, the seedy financiers, and the sycophantic journalists who pushed him forward and, more broadly, the lords of manors who rightly trusted him to defend their rank and property, the clergy who successfully pressed him not to abolish their tithes (the tax which supported them), and the lawyers who managed to keep him from reforms of the legal system that would have reduced their profits”. The other aspect of Cromwell is that in the last resort his power rested on the New Model Army. He apparently took into consideration that it would not sit well with the army if he became king. I mean they had just fought two bloody civil wars and killed a king. Cromwell knew full well that to take the crown would be political as well as military suicide. 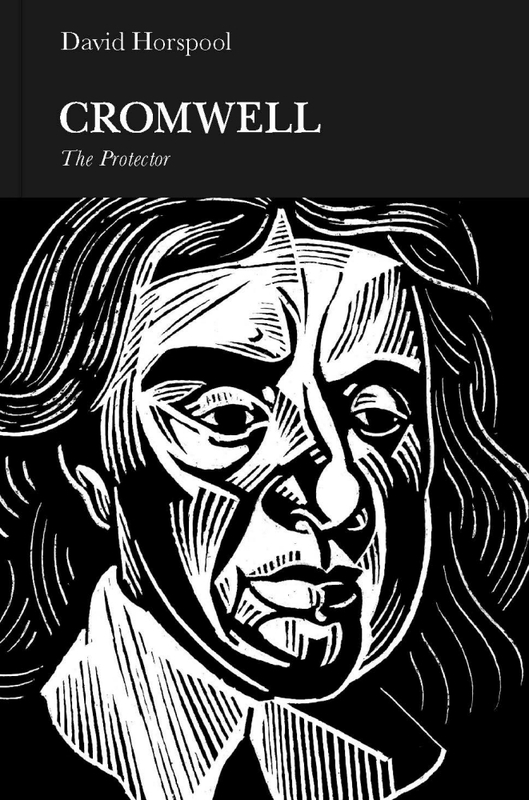 To conclude the book is well written, it does not offer a new perspective on the life of Cromwell. If Horspool is looking for a debate then hopefully a few historians will come out of their comfort zone and give him one. Brian Manning-The monarchy and the military-(September 1999) Socialist Review 233.